The state's largest remaining example of the once-vast grasslands that made up the San Joaquin Valley ecosystem is a refuge for many endangered, threatened and rare species of plants and animals. Background: Carrizo Plain is the state's largest remaining example of the once-vast grasslands that made up the San Joaquin Valley ecosystem. It is a refuge for many endangered, threatened and rare species of plants and animals. The 3000 acre Soda Lake is the largest alkali wetland of its kind in California and when filled with water, serves as a wintering stop for thousands of aquatic and shorebirds such as long-billed curlews and American avocets. In dry years, meadowlarks, northern harriers and short-eared owls take advantage of the food and shelter provided by the shrublands that surround the Lake. The threatened San Joaquin antelope squirrel, coyotes and occasionally badgers are visible from the road. San Joaquin kit foxes and giant kangaroo rats, both endangered species, venture from their burrows at dusk. The area draws heavy concentrations of wintering birds of prey, including ferruginous hawks, red-tailed hawks, rough-legged hawks and prairie falcons. Reintroduced Tule elk and pronghorn antelope are frequently seen in the foothills and the valley floor. Painted Rock is a significant attraction of the Monument. Access to Painted Rock is limited during March 1 through July 15. During the months of March through May, guided tours are offered to view this magnificent representation of a time and civilization that is little known to us. Other unique features within the National Monument will also be part of the tour. From July 16 through February 28, access will be available to Painted Rock without the need of a tour guide. An interpretive sign has been erected at the Painted Rock trailhead. The sign includes an artist's interpretation of a prehistorical Painted Rock and the former inhabitants of the area before the arrival of the Europeans. The Habitat: The Carrizo is a blending of grassland and desert (66%)bordered by mountain shrublands and woodlands (33%). There is tremendous diversity associated with over ten habitat types including alkali sink, saltbush scrub and juniper woodland scrub. The Experience: The site provides a permanent protected home for a number of threatened and endangered plants and animals. 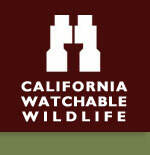 Many of these species' habitats have been severely diminished in their former range within the San Joaquin Valley. The San Joaquin Kit Fox is an endangered species native to Carrizo Plain. Wildlife and Where to Find It: The best Methods for viewing wildlife would include overlooks and viewing from your car. Viewing Tips: Nearly 200 bird species, including migrants. Excellent winter raptor viewing from October to February. Waterfowl and shorebirds in wet winters. Wildflowers displays in spring. Year round residents of coyotes, roadrunners and numerous species of lizards and snakes can be seen at various times throughout the year. SITE IS VERY REMOTE AND UNIMPROVED. HOT IN SUMMER, NO WATER. Site Notes: The Carrizo Plain encompasses nearly 250,000 acres (204,107 of federal land) and is home to 13 species of plants and animals which are federally or state listed as threatened or endangered. Rich in Native American cultural values, the Carrizo was once an important area where the Chumash and Yokuts peoples traded, gathered food and held ceremonies. The Salinan tribal group immediately to the north of the Carrizo Plain also used the area. The landscape still holds remnants of a past when dryland farming and ranching were the predominant ways of life on the Plain. The Plain is a narrow, valley grassland bordered on the east side by the Temblor Range and the San Andreas Fault. The west side is bordered by the Caliente Range which gives the Carrizo Plain its highest elevation point of 5,106 feet. The monument also includes the 19,000-acre of Caliente Mountain Wilderness Study Area. With direct influence from the San Andreas fault, the Carrizo Plain contains a 3,000 acre seasonal alkali lake, along with numerous vernal pools and sag ponds. Festivals & Events: No festivals but many schools and groups come out on field trips. Seasonal: Some roads may become hazardous and impassable when wet. Painted Rock is closed when birds are nesting, March 1 through July 15. Road Hazards: Dangerous when wet. Parking Notes: Dirt roads become very slippery when wet. How to Get There: From Buttonwillow on Interstate 5, take Highway 58 west 45 miles to Soda Lake Road. Turn south and drive 14 miles to the Goodwin Education Center (visitor center). Or from Paso Robles, drive south on Highway 101. Take Highway 58 east 45 miles to Soda Lake Road, drive south to visitor center. From the south, take I5 north and exit onto Hwy. 166,travel 20 miles to Soda Lake Road. Turn right onto Soda Lake Road, go two miles to the entrance and another 28 miles to the visitor center.